The Election Contest filed by Democrat Christine Jennings and her attorney Kendall Coffey creates complications that could blow the electronic voting world to pieces. In the simplest terms, the Jennings Florida 13th Congressional district case requires a review of the Kissell loss in North Carolina’s 8th Congressional district. And that spells disaster for e-voting. Why? Because both the Florida and North Carolina districts used iVotronics touch screen voting machines. These voting machines produced very similar levels of counting errors. The errors cost both Democrats thousands of votes. Ultimately, both Democratic candidates were denied a victory by less than 400 votes. While Jennings makes a very strong case for a voided election and new vote in Florida, the case becomes virtually unassailable when reviewing results from North Carolina. At the same time, the North Carolina 8th results, reviewed in the context of the election contest analysis of Florida’s 13th, makes it abundantly clear that the loser, Kissell, should have won in almost any scenario other than voting machine malfunction. In both districts, the iVotronic touch screen voting machines produced undervote rates at or above 15%. What this means is that supposedly one in seven voters cast ballots but left out a choice for the most important election (an unmarked race on an otherwise marked ballot is called an undervote). The only culprit in both the Florida 13th and North Carolina 8th elections is voting machine malfunction. The facts supporting the case for losers winning don’t allow for much debate in these Florida and North Carolina races. They’re simple and a review leads to conclusions that devastate any trust in electronic voting. The Florida election contest brief filed in Congress looks at data within the 13th Congressional district and data from other Florida districts. Coffey notes that the undervote rate in Sarasota County is six times the undervote rate in surrounding counties in the same district. 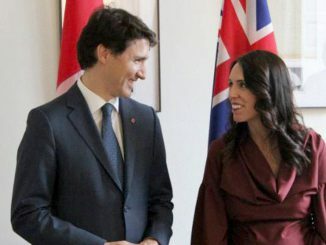 How did that happen? These are contiguous counties and part of the same congressional district. Coffey performs a rhetorical slam dunk by looking at undervotes for the two types of early voting in Sarasota County. Early voting by mail required voters to mark their choices on optical scan paper ballots then mail the ballots to the elections board where they were totaled using optical scan readers. Mail in early voting undervotes were at 2.6%. In person early voters came to central locations and voted on iVotronic touch screens like those used in the general election. Undervotes by that method ran 17.6%. There is no reason for a difference of 15 points other than the one provided by Coffey in the Jennings case: voting machine malfunction by the iVotronics. As a result, 14,000 Sarasota County voters lost their constitutional rights. 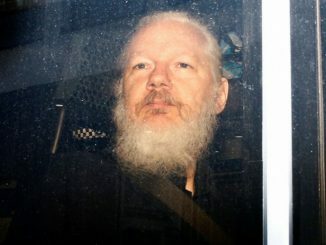 The election should be voided and a new one held. One might argue that this is an exaggerated claim but review the facts and decide yourself. 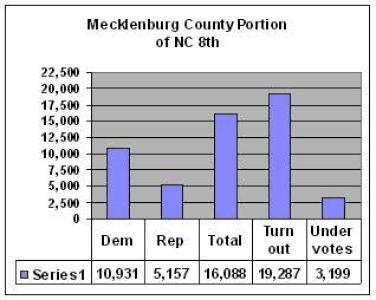 Any serious evaluation of the Jennings election contest by Congress leads right to North Carolina’s Mecklenburg County. 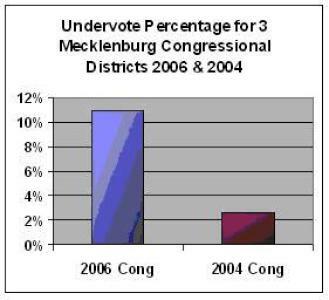 iVotronic touch screens were used in the Jennings race and three Congressional races in Mecklenburg. That county holds the answers to both the Jennings contest and a resolution of another 2006 travesty, the loss of Democrat Larry Kissell in that North Carolina’s 8th Congressional District. As a result of voting problems in 2004, North Carolina requires a paper trail for touch screen voting machines. Right now there are paper receipts for each vote cast in these three districts. The test is simple. Total the votes for Congress on paper trail receipts in each Congressional district and compare those totals to the vote totals from the iVotronic touch screens. If paper receipts show more votes for Congress than reported by the touch screens, the variance points clearly to an iVotronic machine error. 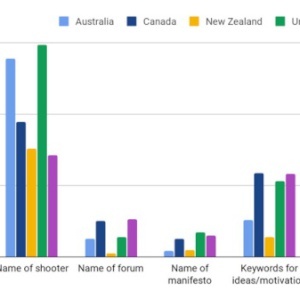 If Jennings could provide such data, this would add a compelling new level of evidence added to her case. If the paper trail receipts are available and examined, they represent a smoking gun that validates the Florida case. Even without the paper receipts, there is strong support to argue that the same class of touch screens used in Florida, iVotronics, produced exceptional, no unbelievable rates of undervotes in North Carolina not evident in high visibility races. iVotronic voting machines were used in Mecklenburg County in 2006. The county contains part of three Congressional Districts. The graph on the left shows very high undervotes in the 8th and 12th. In the 8th, Democrat Kissell lost by 329 votes with an undervote rate close to that in the Jennings race. 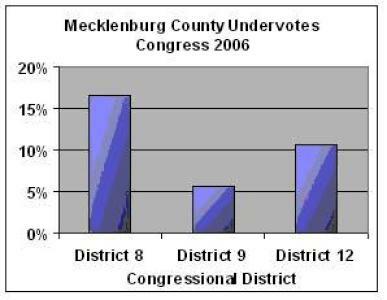 A preliminary look at 2006 and 2004 undervote rates shows that the 2006 undervote rate in Mecklenburg County, NC indicates that the iVotronic machines throw away votes. Using the county as a whole, in 2006 the average Congressional undervote rate (for all three races) was 11%. In 2006, the Congressional race was the lead or one of the lead races. 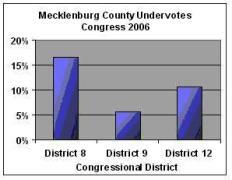 In 2004, with vote totals for President as the baseline, the undervote rate in Mecklenburg was 2.6%. Thus, undervotes increased by a factor of four from 2004 to 2006. By investigating Jennings claims through the use of the highly pertinent and available data from North Carolina, it becomes abundantly clear that Democrat Kissell lost that contest due to machine malfunction – by the very same type of machines used in the Jennings race. Since the undervote rates in these distant and disparate counties were almost the same, the data on Kissell supports Jennings claims. Below you see the electronic nightmare created by analysis of the North Carolina race. 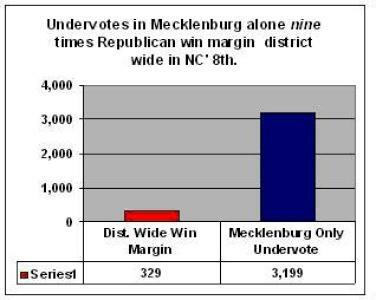 The graph on the left shows 3,199 undervotes (16.6%) in Democrat Kissell’s stronghold in Mecklenburg. On the right, the victory margin district wide for Republican Hayes is shown next to the undervotes for just Mecklenburg where Democrat Kissell won by a two to one margin. The North Carolina 9th and 12th races were blow outs. The 8th was not. In the very area where Kissell was strongest, le lost 3,199 voters, many of whom would have voted for him. to 32% for the Democratic Party candidate, Larry Kissell. Let’s assume a typical rate of undevotes at a generous 3%, or 579 votes, and Kissell’s Mecklenburg share of 68% of the votes couted. The math is easy. Kissell wins. Presume that Kissell’s undervote rate of 16.6% is the final proof (with or without recounting the paper trail voting receipts) of voting machine malfunction in Jennings’ Florida district. It’s easy, Jennings wins. These numbers won’t go away. 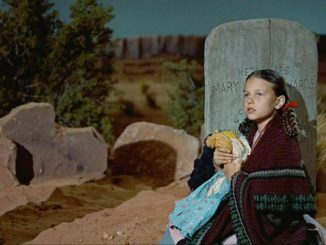 We now have two members of Congress seated as a result of elections decided by less than 400 votes. A simple analysis of current and historical data for expected undervotes shows that the double digit undervote rates in each candidate’s stronghold resulted in lost votes; votes that would have lead to a victory by either of the now designated losing candidates. The first shall be last, once again. © Copyright. 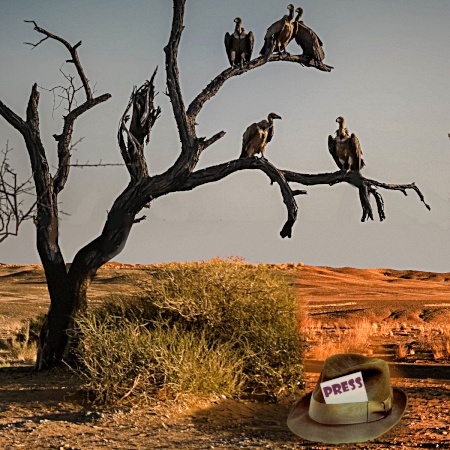 Please feel free to reproduce and distribute this in any fashion you feel suitable with an attribution to the author, Michael Collins, and the publisher, "Scoop" Independent News, plus a link to the article. Find more from Michael Collins on InfoPages.